Get involved: we need you! Want to make a difference? You’re in the right place! 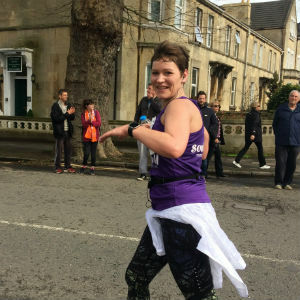 Whether you take part in a sponsored activity such as the Bath Half Marathon, hold a bake-off or organise an open mic night, there are lots of ways you can raise funds to support adults with mental health issues and have fun at the same time. 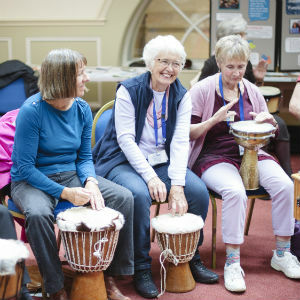 If you support our music therapy, we’ll be with you every step of the way. Our fundraising pack is designed to help you reach your fundraising target with as little stress as possible. We can also provide you with a poster template to help you publicise your event, a sponsorship form and our event details form that allows you to tell us about your event so we can help promote it. If you are planning an event and would like to discuss your ideas, we would love to hear from you. 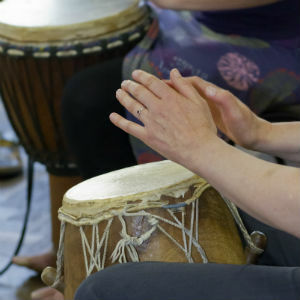 Please contact us on enquiries@soundwell.org.uk or call 0300 3653400. Thanks to fundraisers like you, we can support over 220 people every year. Every penny you raise will help us to achieve our vision of improved mental wellbeing for all. Or if you’d like to volunteer your time to help in other ways, that’s great too. Find out what volunteering opportunities we can offer. Events: ready for your next challenge?